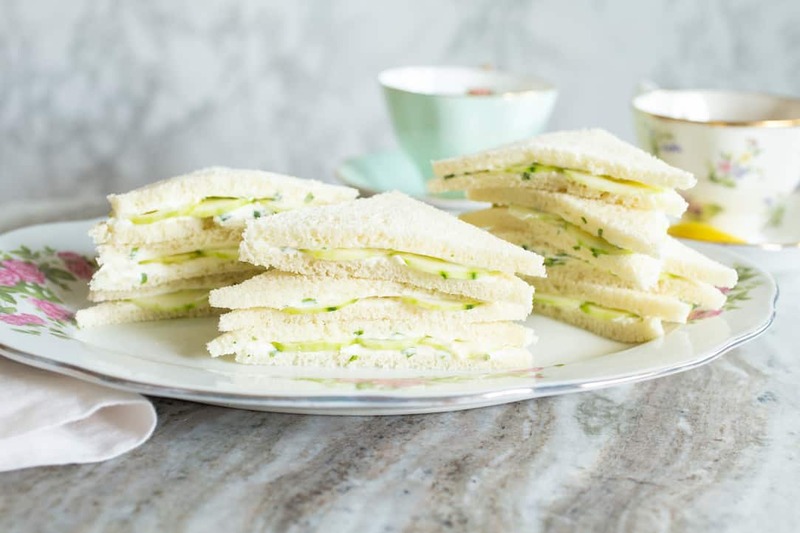 Oscar Wilde's Cucumber Sandwiches | Good. Food. Stories. I’ll just come right out and say it. I wish I were having high tea in some fabulous peri-London estate garden, shaded from the few rays of sun the leaves don’t filter out by a tasteful parasol and wearing a scarf against the beginnings of a late afternoon chill. With a way better accent. There simply comes a moment in every summer when I feel like the responsibility of cooking for myself in my un-air-conditioned kitchen should be lifted from my shoulders and I should be able to sip from hand-painted china and dine on delicacies that possess no nutritional value whatsoever, if only for a day. Now is that moment. Absent such a garden paradise, I have decided that instead I shall create a high tea for myself, complete with a lovely brew and some delicate cucumber sandwiches. And I need look no further than one of my favorite human beings, Oscar Wilde, for inspiration. Oscar Wilde is, as you likely know, a master of showing how the things we dismiss because they are superficial and hedonistic are actually essential to who we are. 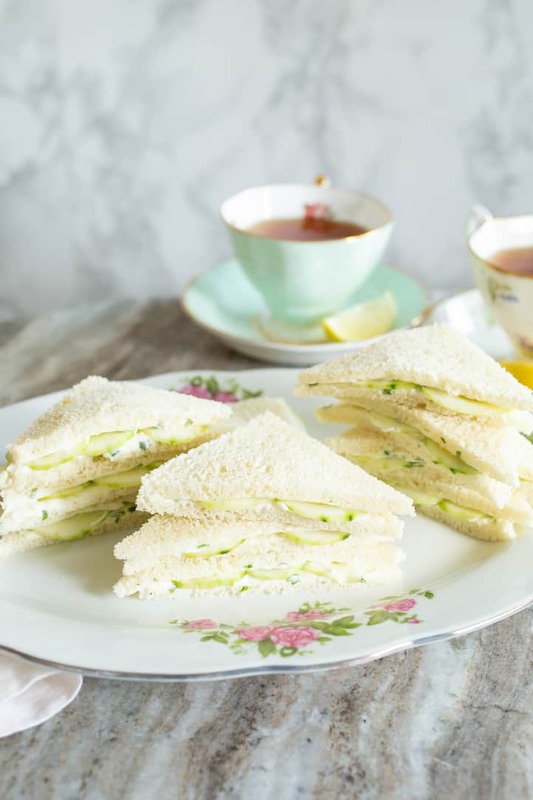 Cucumber sandwiches have long been a staple of the leisure class’ tea due to the fact that they were not filling, like a meal a laborer would need, but merely delicately delicious. Jack: Why cucumber sandwiches? Why such reckless extravagance in one so young? Who is coming to tea? Algernon: That is quite a different matter. 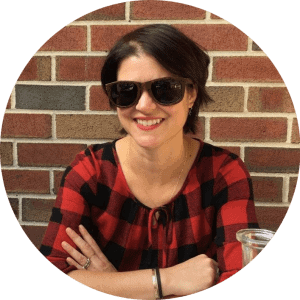 She is my aunt. . . .
Algernon: Certainly, Aunt Augusta. (Goes over to tea-table.) . . . (picking up empty plate in horror). Good heavens! Lane! Why are there no cucumber sandwiches? I ordered them specially. Lady Bracknell: It really makes no matter, Algernon. I had some crumpets with Lady Harbury, who seems to me to be living entirely for pleasure now. Traditional British cucumber sandwiches are made with butter on the bread and lemon on the cucumber, but I prefer what is apparently the more Americanized version, which uses cream cheese in place of butter and gets nowhere near a lemon. 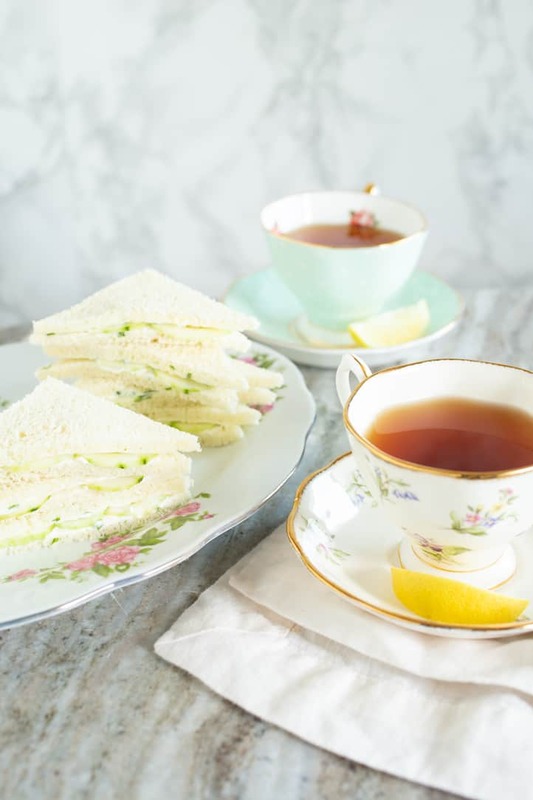 However, I’ll stick with the tradition of making these indulgently delicate sandwiches on super-thinly sliced bread—Pepperidge Farm’s aptly named Very Thin bread, to be specific. Though it comes in both white and whole wheat versions, this is not a meal about nutrition. It’s about frivolity, and thus, white bread is the appropriate choice for the occasion. 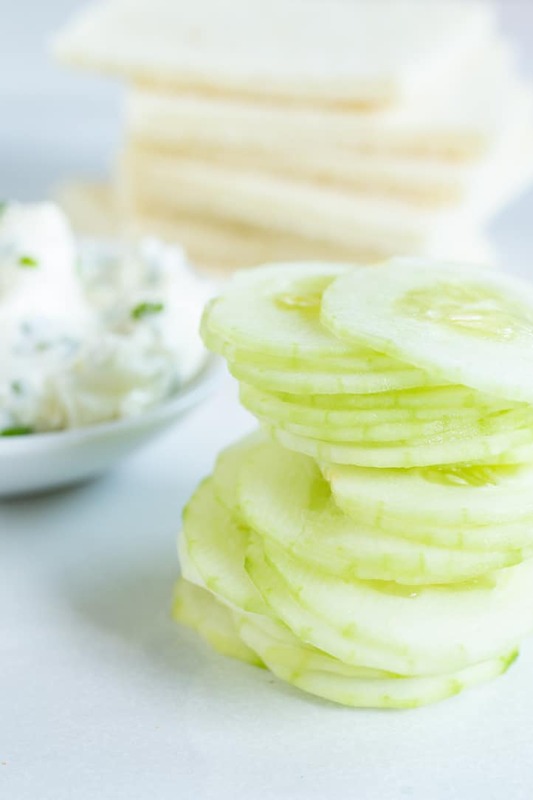 Summery cucumber sandwiches with a thin layer of cream cheese are delicately frivolous snacks on hot days. They're too tempting, even for Oscar Wilde. Slice the garlic clove in half lengthwise and remove the germ. Mince the garlic, then sprinkle a pinch of salt over the pieces and run the side of your knife across the pile to smoosh the salt into the garlic. Mince again, and repeat once more to turn the garlic into a pulpy paste. Scoop the cream cheese into a mixing bowl and add the garlic paste, chives, and a pinch of black pepper. Stir to incorporate, adding more salt and pepper to your taste. Peel the cucumber if desired and slice as thinly as possible—preferably about a millimeter thick (if you’re a mandoline enthusiast, this is a good time to pull yours out). If your cucumbers are too thick, your slices of bread will skid off each other when you go to slice your sandwich. 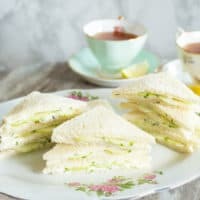 Spread cream cheese thinly across each slice of bread and evenly covering half the cream cheese-covered slices with rounds of the translucently thin cucumber. Sprinkle a tiny amount of salt on the cucumbers, if you like (I do! ), and top with another piece of bread. Cut the crusts off to leave yourself with a perfect square of sandwich. You can decide how to divide it: into quarters, rectangles, two triangles? Just ask yourself, What Would Wilde Do?